Barbara Elliott was awarded a PhD from the University of Hull and MSc and BNurs degrees from the University of Manchester. She worked clinically as a children’s nurse before commencing her academic career. She teaches on pre-registration undergraduate nursing programmes focusing on child health, children’s nursing and research methods. She also supervises Masters and PhD students. 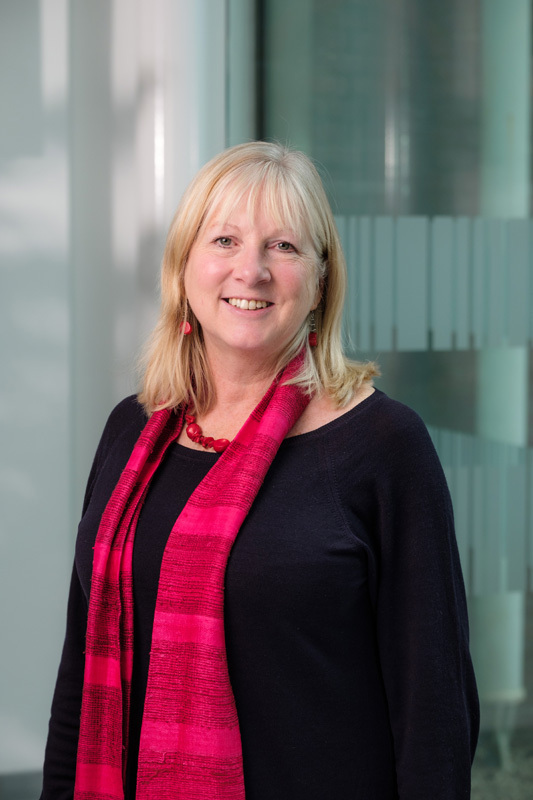 Barbara has conducted research into enteral feeding and was principal investigator on a cross-faculty NIHR funded project to develop a new nasogastric tube. Her other research interests include children with chronic illness and family-centred care. National Institute for Health Research, Invention for Innovation (i4i) programme: principal investigator from 2011 to 2016 on a cross-faculty, multidisciplinary research project to develop a location-indicating nasogastric tube. The invention is protected by PCT (international) Patent Application (filed June 2007) and UK Patent Application (filed June 2006). Received local and national funding to conduct research with children and families exploring the impact of childhood chronic illness on family life and physical activity in school-aged children. Member of an international group of children's nurses looking at family and child-centred care across the globe. Dr Elliott offers PhD supervision in areas including children's nursing, child health, experiences of children, parents and families, experiences of practitioners working with children, and enteral feeding. Barker W, Intermediate Care and Quality of Life: A Mixed Methods Evaluation (2009), University of Hull, jointly supervised with Professor Peter Draper. Arabiat D, Quality of Life and Psychological Distress in Jordanian Children With Cancer (2008), University of Hull, jointly supervised with Professor Peter Draper. Oroviogoicoechea C, A Realistic Evaluation of the Impact of a Computerised Information System on Clinical Practice: the Nurses’ Perspective (2007), University of Sheffield, jointly supervised with Professor Roger Watson.